Need a way to get your audiobooks, open courseware, videos, or other content onto your podcast player? The RSS Feed Maker will take your URLs and convert them into a RSS document and give you a URL to give to your podcast player. 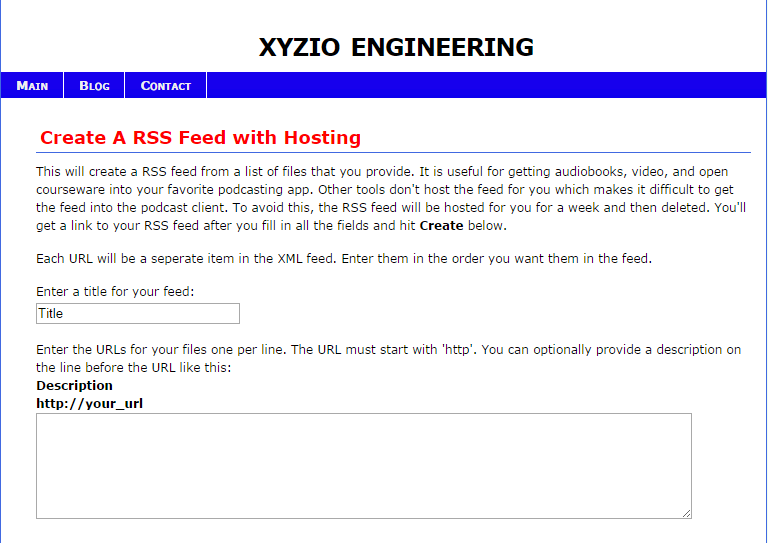 The RSS feed is created with Argotic and the files are hosted on Amazon’s S3 file hosting service.